I have been eyeing this temptation for a while now, and finally decided to treat myself. I’ve been craving all things sweet recently, and this was just perfect. 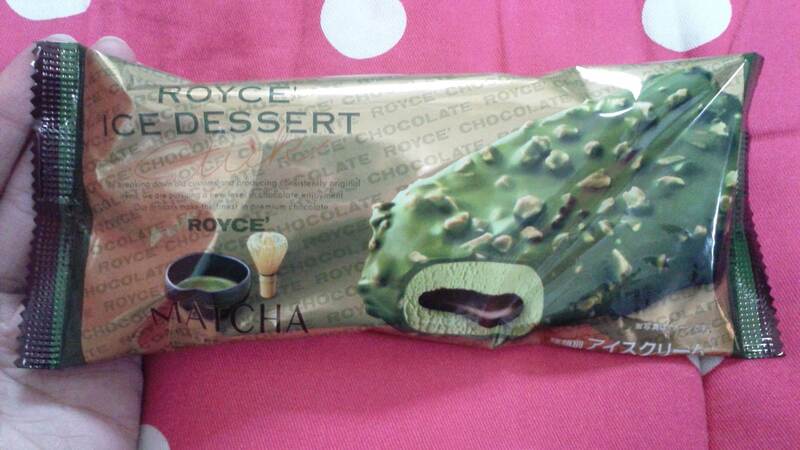 Royce’ is a Japanese chocolate manufacturing company based in Sapporo, Hokkaido. 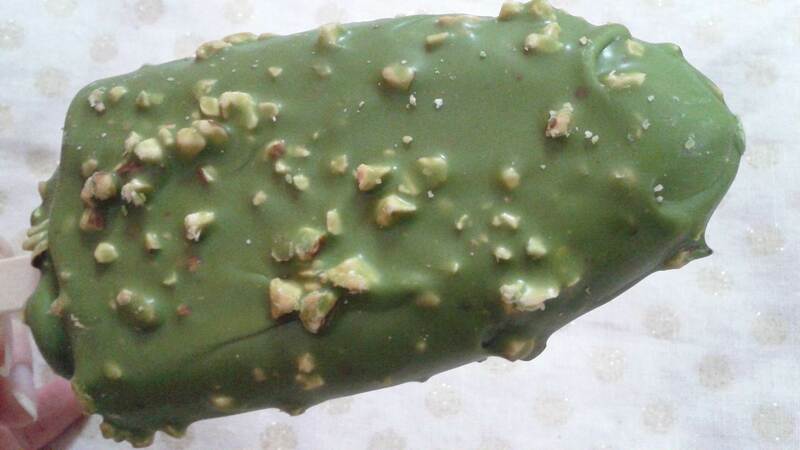 It makes a number of chocolate goodies, and also just beautiful chocolate covered crisps – mmmmm. 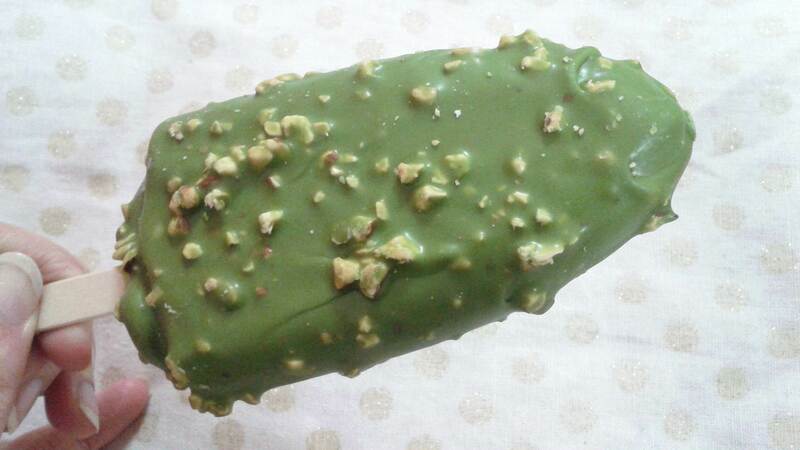 An outer layer of green tea chocolate peppered with slivers of nuts, and a liquid chocolate centre enrobed with green tea ice cream, this frozen dessert is simply delish. If you are lucky enough to spot this in a supermarket near you, grab it! Happy Friday, lovelies! Have a good one! 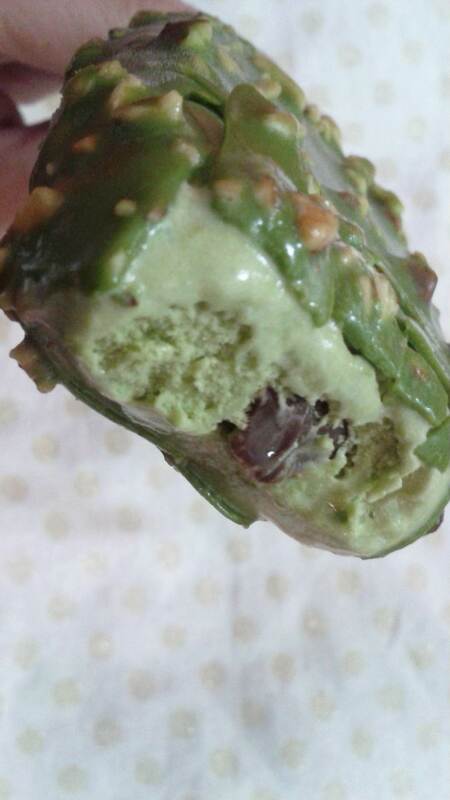 My husband is Japanese and he loves matcha ice cream. This looks amazing. A royce opened up in my home town and I had no idea what the fuss was about, but now I’ll have to visit! That wasn’t kind as I am trying to avoid things like this !! It is hard isn’t it! !